Remember the melancholic yet playful exploits of three brothers aboard The Darjeeling Limited? While such a train may not exist in real life, you can have your own unique adventures aboard even more luxurious and vintage-style trains in India. You would definitely not think luxury when you think of Indian trains, but these 8 luxury trains will make you rethink. Operated by Indian Railway Catering And Tourism Corporation (IRCTC) in association with state tourism departments, Indian luxury trains will serenade you with songs of extravagance worth every penny. The blue limousine on rail tracks, the Deccan Odyssey offers six exclusive packages throughout India including Indian tourist hotspots, Deccan sights, Maharashtra, Gujarat, etc. in 11 coaches which include Presidential and Deluxe coaches and has onboard wi-fi. Each coach is elegantly designed in the style of Deccan dynasty such as Kadamba, Hoysala, Chalukya, etc and comes equipped with a personal attendant, air-conditioning and attached bathroom. You get opulent dining halls, bar, lounge, conference area and spa services. An award-winning train, one of the world’s most luxurious, Maharaja’s Express plys across 5 tour circuits including heritage sites of northern Indian cities including Agra, Delhi, Jaipur, and Ranthambore as well as two routes covering heritage sites of the south like Hampi, Mahabalipuram, Kerala, etc. It has presidential, express, junior express and deluxe express suites all fit for royalty. Plush cabins and beautifully decorated lounge bars and restaurant add a special charm to the journeys which depending on the itinerary can be two to eight days long. A fantastic route to visit India’s most popular tourist destinations aboard a palatial train, Palace on Wheels covers the best of Rajasthan, Delhi, Goa, heritage sites, tiger reserves, spa destinations, Kerala, Agra, Mumbai among others. The coaches were once the favorites of princes and royalty of Rajasthan, Gujarat, the Nizams and British echelons. The train has two resto bars, ayurvedic spa and a gym. Similar to Palace on Wheels, Royal Rajasthan on Wheels covers the Rajasthan Circuit, including Varanasi, Agra, Delhi and Temples of Khajuraho. Spacious and richly decorated cabins in hues of pearl, ruby and sapphire, deluxe and super deluxe cabins with dining lounges and bars with crystal decorations are the highlights of the train. The Internet is also available upon request. Two curated itineraries that take you through the best of the south, The Golden Chariot, an exquisitely furnished and designed luxury train, covers destinations like Bangalore, Badami, Bandipur, Mysore, Hampi, sights of Tamil Nadu and Kerala. The name is inspired from the Golden Chariot of Hampi, a destination on the itinerary. 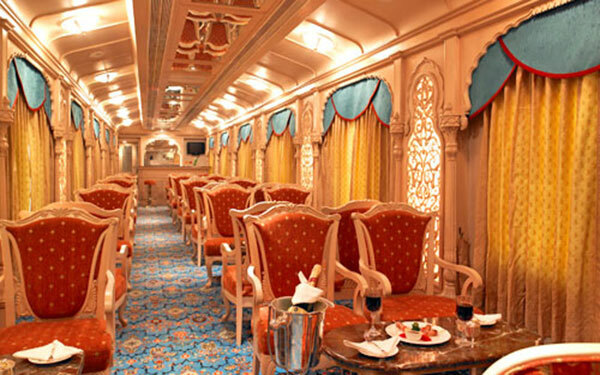 Coaches resemble the living quarters of royalty and kings, while amenities include fully equipped cabins with LCD TVs, writing desks, wardrobes, attached bathrooms, a personal attendant, and multi-cuisine restaurant with the finest wines in the train bar that is styled after the Mysore Palace. There is also a gym and a spa. Modelled after the Palace on Wheels, The Royal Orient covers major tourist destinations in Gujarat and Rajasthan including Delhi, Udaipur, Junagadh, Palitana, Ahmedabad and Jaipur. The itinerary includes jungle safaris in Gir, shopping sprees and heritage visits in Rajasthan, Delhi and Gujarat. Coaches are named after kings of Rajputana dynasty, opulent and rich with amenities like a library, bar and multi-cuisine restaurants offering Gujarati, Rajasthani, Indian and continental cuisines. 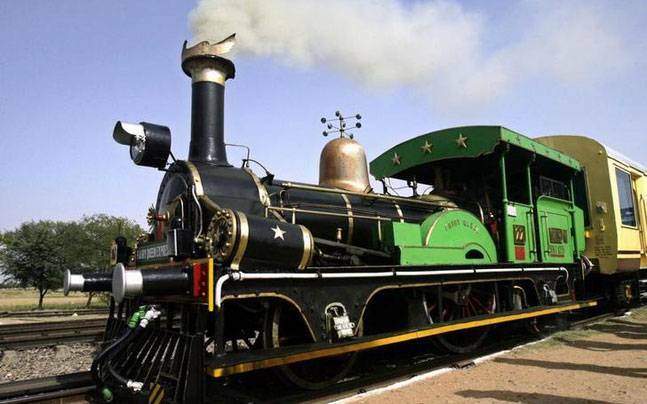 This is a luxury heritage train, one of the oldest functioning steam locomotives. The coaches with reclining chairs can accommodate up to 50 people. The train runs a two-day trip from Delhi to Alwar in Rajasthan and Sariska Tiger Reserve. One does not get to spend a night aboard this train but travellers are booked in a hotel in Sariska Wildlife Sanctuary. Also breakfast, tea, lunch and dinner are provided on board or at hotels. The special experience while riding the world’s oldest steam locomotive is altogether memorable. The Mahaparinirvan Express is a Buddhist Circuit Special Train Tour that takes the passengers across a spiritual journey with an itinerary that covers popular Buddhist pilgrimage sites in Bihar and Uttar Pradesh. The train is named after Buddha’s Mahaparinirvana Sutra which teaches the true Buddha Nature. The train covers sites like Lumbini (birthplace), Sarnath/Varanasi (first sermon), Kushinagar (dying place) and Bodhgaya (place of enlightenment). It is operated using Rajdhani Express carriages and has one, two and three-tier structures with onboard meals and refreshments. While you may have travelled by air, bus, private cars, or by sea, we assure you travelling by Indian luxury trains with perfectly crafted itineraries and experiential activities will give you a distinct, incomparable travel experience. If you have questions or comments, please write to us below.